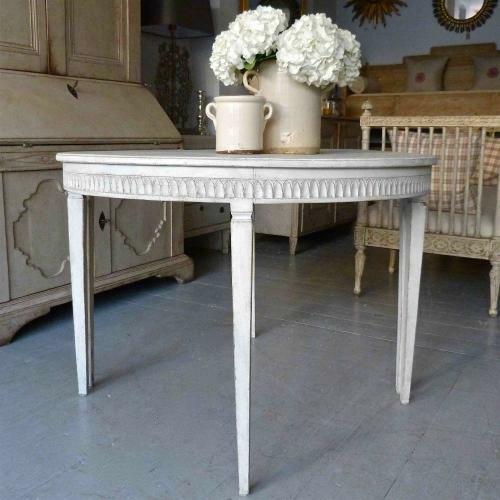 A beautiful and practical pair of period Gustavian demi-lune tables that can be used as matching consoles, or placed together as a decorative centre table. Featuring a finely carved apron, elegant tapered legs, and later paint. Circa 1820. These demilunes are now on promotion to make way for new stock arriving soon.